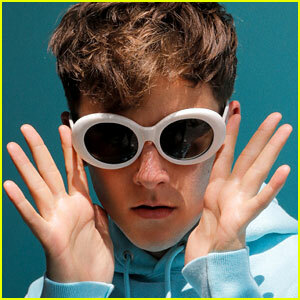 Connor Franta Photos, News, and Videos | Just Jared Jr.
Connor Franta just launched his new round table series, Loud & Clear, and he’s recruited some of your fave YouTubers. Together with Gabbie Hanna, Scotty Sire and Eva Gutowski opened up about the topics of burn out and mental health. During the round table, Connor opens up about the pressure in the LGBTQ+ community to look perfect (especially on dating apps), why he started this roundtable; and Eva got real about her depression being so bad she slept on a bed with no sheets and cat pee on it. You can check out the first video in the series below. If you’re struggling with figuring out your social media aesthetic, Connor Franta is here to help. For more from Connor, visit RAWPages.com. 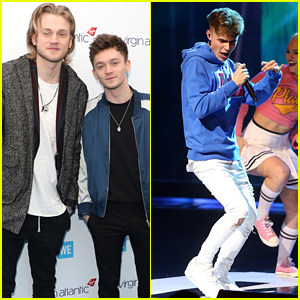 Tristan Evans and Connor Ball hit the blue carpet at 2018 We Day at Wembley Arena on Wednesday morning (March 7) in London, England. The two Vamps musicians stepped out for the annual event, along with Connor Franta and muser HRVY, who performed at the event later on,. Ahead of the event, HRVY was super stoked to be performing at the venue. 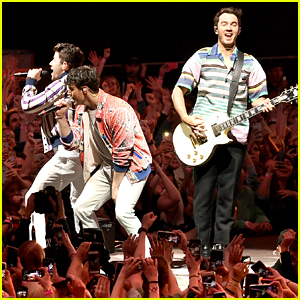 “Performing at Wembley arena tomorrow, dreams are coming true,” he wrote on Twitter. Here at @WEMovement today with @TheVampsTristan having some lovely chats on stage and speaking to some very inspirational young people, let’s have it! Niki and Gabi DeMartino show off their new hairstyles while sitting front row at the Son Jung Wan fashion show during New York Fashion Week: The Shows over the weekend in New York City. 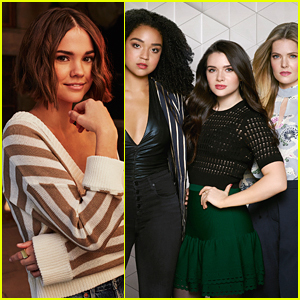 The two social stars and singers joined The Runaways‘ Lyrica Okano at the event just after attending the Sherri Hill show the night before. Also spotted around NYFW this weekend were Eva Gutowski and Sierra Furtado at the Christian Cowan fashion show and Amanda Steele was seen at the Cushnie Et Ochs and R13 fashion shows. Alisha Marie stepped out for the Edie Parker presentation while Connor Franta grabbed a seat on the front row for the Gypsy Sport fashion show. Chelsea Kane glams up for the 2017 GLSEN Respect Awards held at Beverly Wilshire Hotel in Los Angeles over the weekend. 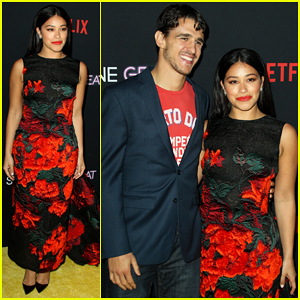 The former Baby Daddy star joined The Flash‘s Keiynan Lonsdale, Connor Franta, JJ Totah and Arden Rose at the annual event. Speaking with LA Times recently, Chelsea opened up about which Baby Daddy treasures she has on display in her living room at her home. Zendaya received a big honor at the 2017 GLSEN Respect Awards! The actress and singer hit the red carpet for the event held on Friday (October 20) at the Beverly Wilshire Hotel in Los Angeles. She stunned in an orange blouse, grey skirt, and fuchsia-colored heels, styling her hair into side-swept waves. Zendaya finished off her look with silver jewelry. She was joined by Alisha Boe, honorary co-chair Connor Franta, Tommy Dorfman, and Charlie Carver. Zendaya and Connor both spoke on stage during the ceremony, and Zendaya was honored with the Gamechanger Award for her advocacy and activism. Also in attendance were the Gay, Lesbian, & Straight Education Network’s National Student Council members. The organization’s mission is to ensure that every member of every school community is valued and respected regardless of sexual orientation, gender identity, or gender expression. For his birthday this year, Connor designed a sweatshirt, t-shirt, and baseball cap with all proceeds going to GLSEN. Beyond honored and lucky to be here tonight @GLSEN Respect awards…so much love and empowerment in this room.??????????????????? FYI: Zendaya is wearing Calvin Klein 205W39NYC.